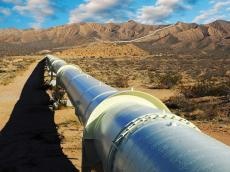 The private sector of Turkey can get involved in the transportation of Azerbaijani gas through the Baku-Tbilisi-Erzurum pipeline, Turkish media outlets reported on June 20. The admission of Azerbaijani gas in Turkey is currently carried out by state-owned crude oil and natural gas pipelines and trading company -- Botas Petroleum Pipeline Corporation. The country’s private sector will be able to supply Azerbaijani gas through the Baku-Tbilisi-Erzurum pipeline as early as 2021. Baku-Tbilisi-Erzurum gas pipeline has been built to transport the gas produced in the Shah Deniz field located in the Azerbaijani sector of the Caspian Sea to Georgia and Turkey. The pipeline is 980 km long and its diameter is 42 inches. The pipeline has the capacity to pump gas up to 20 billion cubic metres a year. At the official level, Botas has neither refuted nor confirmed this information. At present, Turkey imports gas from Iran, Russia and Azerbaijan. In addition, Ankara has signed agreements with Algeria and Nigeria for the supply of 4.4 billion and 1.2 billion cubic meters of liquefied gas per year, respectively. The inauguration ceremony of the Trans-Anatolian Natural Gas Pipeline (TANAP) project took place in the city of Eskisehir, Turkey on June 12. The gas from Azerbaijan’s Shah Deniz field has already gone through the first segment of the Southern Gas Corridor - from the Sangachal terminal to the expanded South Caucasus Pipeline. TANAP together with Trans-Adriatic Pipeline (TAP) is a part of the Southern Gas Corridor, which envisages the transportation of gas from Shah Deniz field to Europe.